Are Frank Ocean and Brad Pitt working on a secret project together? Visionhaus#GP/Corbis via Getty ImagesRemember when Brad Pitt revealed in GQ magazine earlier this year that he was a huge Frank Ocean fan? Well, it looks like a bromance is brewing between the Hollywood superstar and the “Nikes” artist, who both appeared on stage at the FYF Fest in Los Angeles this past weekend. 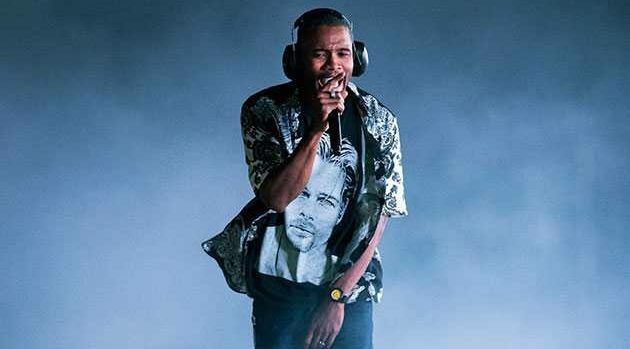 Even better, festival goers were treated to a performance of Frank singing “Close to You” with someone who’s apparently Pitt sitting on the edge of the stage, largely out of sight from the audience, apparently talking on a cell phone, as seen via a clip from a fan. According to IndieWire, Brad’s appearance at Frank’s FYF set could be part of a “secret project” between the duo and Oscar-winning film director Spike Jonze, who was spotted filming the whole affair and Frank’s gig at London’s Lovebox Festival earlier this month.